If astronauts ever go on a real long-term Mars mission, they are going to need more sustenance than rehydrated space burgers. 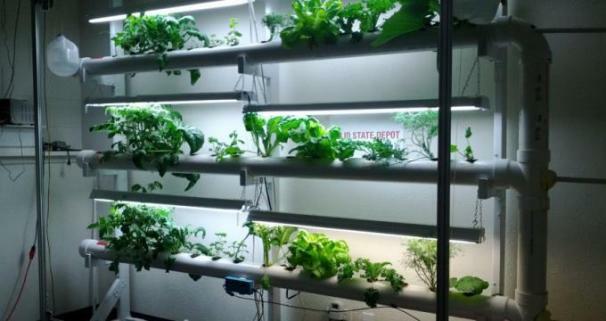 A space garden can go a long way to keep astronauts fed and breathing fresh air. To this end, NASA handpicked a team from the University of Colorado Boulder to develop a remotely operable, robotic garden to support future astronauts in deep space. The bioregenerative food system will be able to autonomously grow a garden, harvest fruit and vegetables, and compost refuse into nutrients for new plants. The miniature biome will provide astronauts with fruits and vegetables and purify water if needed. It'll also naturally revitalize the air supply. Of course, the system could also provide some much need activity besides looking at trajectory charts. The team already has a working prototype based on the work done by the CU-Boulder’s computer science department two years ago. There are, however, more milestones the team needs to meet, including automated seeding, monitoring of plant growth, harvesting, and recycling the nutrients from plant waste back into the system. The Boulder team’s bioregenerative food system is just one of the five projects chosen by NASA to participate in the 2013 Exploration Habitat (X-Hab) Academic Innovation Challenge. The team was awarded a grant of about $40,000 to deliver an operable design by the summer of 2013.